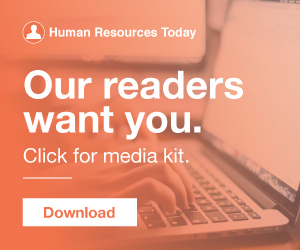 What Are the 2019 Trends in HR? The support of the CHRO and other key leaders can go a long way in ensuring organization-wide interest in people analytics, but you will need other enablers to evangelize adoption. Many roles contribute to successful people analytics enablement. The field of human resources is changing. Among all the challenges HR professionals face, few are more important than measuring and addressing employee performance. Here's a surprising statistic : almost half of millennials (44 percent) believe that working for a single company is a better way to advance their career than jumping from firm to firm. Talk about debunking the stereotype of millennials as entitled job-hoppers! ( Editor’s Note: Today’s post is brought to you by our friends at Readex Research , which provides expert online and mail survey services to help businesses understand their internal and external customers. Their services include employee experience surveys. Enjoy the post!). The short answer: It depends. While virtual employment and flexible scheduling were both touted as the silver bullet to the work-life balance problem, there are reasons to believe that better balance has not been achieved—at least not for some remote workers. The Blurred Line Between Work and Home. Dirk Petersen of Insight222 shares his sage advice on data ethics and how people analytics teams can successfully build up this capability. In late July 2017, a Who’s Who of Silicon Valley people analytics leaders came together at Intel. Trader Joe’s 4 Secret Ingredients for Employee Engagement. Everyone loves the Mandarin Orange Chicken at Trader Joes. However, that’s not all customers love! Do you pay your employees fairly? Of course! You did your research when making salary offers, you award regular cost of living raises and you pay for their overtime work. Still, according to a recent study by Robert Half, 46 percent of employees feel that they are underpaid. 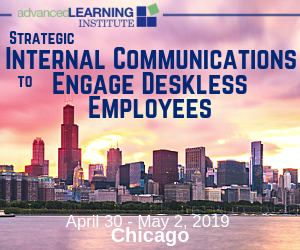 (Editor’s Note: Today’s post is brought to you by our friends at Kronos , a leading provider of workforce management and human capital management cloud solutions. 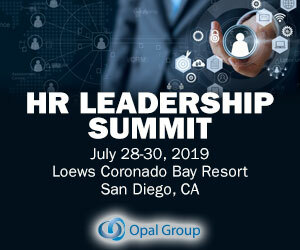 Kronos is hosting a free eSymposium for HR and payroll professionals next week. In terms of writing and reading content, I have always been anti-trends. Every year people recycle the same information over and over, and it never really reflects reality. A simple tally of employees should be shared without controversy, but when an HR executive presents the headcount report during the monthly P&L meeting with the CEO and CFO, it can become the most contentious item on the agenda. We've all seen it before—you get an application from a candidate that is simply overqualified for the position that she's seeking. After all, why would an applicant with over twenty years of experience be vying for a mid-level role? But here's the problem with calling someone "overqualified." There are many different types of learning: social learning, mobile learning, and elearning are just a few. A relatively new type of learning that’s attracting attention is microlearning. Think of it as small learning units or bite sized pieces of content. This week was a big one in the world of enterprise software: SAP announced plans to acquire Qualtrics , a fast-growing scrappy provider of survey and feedback software, for $8 billion. According to Aon’s 2017 U.S. salary increase survey , more than two-thirds of employers were taking some kind of action to increase merit pay differentiation, with 40% reducing or eliminating increases for lesser performers. Offering top-notch benefits may attract competitive talent, but how much do your employees actually know about those benefits? Competitive Total Rewards Programs come with a lofty price tag that directly impacts every organization’s bottom line. Education has long been the currency of work opportunities. Years spent in school translate to employment, with employers looking to college degrees as proof of potential, skill, commitment and motivation. Recently, though, it's become clear that the hiring exchange rate has some holes. Regular readers of this blog know I’m a planner. I plan everything. I think I’d even plan spontaneity. That’s why I couldn’t help but laugh at this Time Well Spent from our friends at Kronos. In some parts of the country, the current hiring boom means that there are more openings than there are workers to fill them. That’s part of why some organizations turn to temporary employees to help them plug immediate gaps. Hiring temporary workers. Leadership development can produce some surprising behavior. I encountered this phenomenon several years ago when I was VP of Learning for a growing SaaS company. We had built a leadership development program for our Millennial population with the goal of reducing turnover costs.